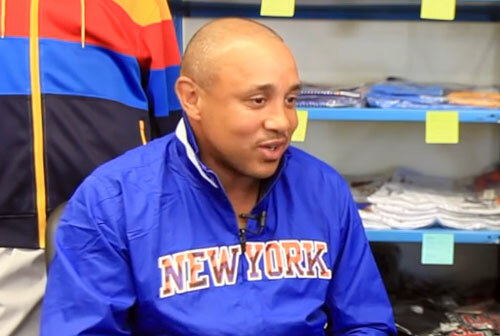 John Starks is a former NBA shooting guard who played for the Golden State Warriors from 1988–1989, the Cedar Rapids Silver Bullets from 1989–1990, the Memphis Rockers in 1990, the New York Knicks from 1990–1998, the Golden State Warriors again from 1999–2000, the Chicago Bulls in 2000 and the Utah Jazz from 2000–2002. Starks has 10,829 total career points, 2,129 rebounds and 3,085 assists to his credit. Starks made the NBA All-Defensive Second Team in 1993 and was an All-Star selection for 1994 plus he was NBA Sixth Man of the Year for 1997. Starks works as an alumnus and fan development official for the Knicks plus he became a broadcaster for MSG Network serving as pre-game and post-game analyst. Sports Speakers 360 is a booking agent for pro athletes. If you would like to book John Starks for a speaking engagement, appearance or endorsement, contact a John Starks booking agent for fees at 1.855.303.5450.